Elton John is one of music's most legendary and exciting entertainers, and after a 50+ year career, the singer is ready to retire from touring. The decision comes at an important time in Elton's life. Last year, he dealt with a potentially fatal infection, which led him to cancel shows. In 2015, John hinted at a possible retirement in an interview with Rolling Stone, saying, "I've had lots of time off with my children, and it's all got to change now that [my son] Zachary is starting school... I've got to be off when half-term comes. And I am planning on cutting down my shows to be with my children because that's what I really love." 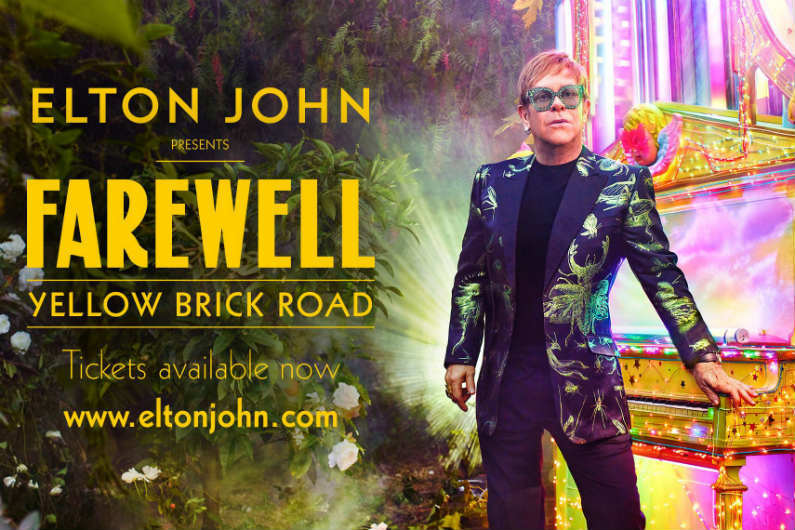 Today, Elton has announced his first tour dates of 2020. The new shows are scheduled for the UK and Ireland, and set to begin in November. According to Elton's website, the world tour will include over 300 shows and cover 5 continents before ending in 2021, with many more dates to be announced. Check back here when that information becomes available. When do Elton John 2020 tour tickets go on sale and what is the presale code? Tickets for the previously announced shows are now on sale. For the new dates, the general public on-sale begins as early as November 16, 2018 at 10 am local time. Presales for Rocket Club VIP members will begin on November 12. Ticketmaster Verified Fan and American Express cardmember presales will follow. For the American Express cardmember presale you can use the promo password INGOLD, but you'll need an American Express card to complete your purchase. Keep in mind, each date is different and details are subject to change. Click through the individual concert links for more information about the show you're interested in. We recommend following Elton John on social media and signing up for the tour email newsletter, in addition to checking your local venue’s social media and email subscription service, to get the most up-to-date information. For more, check out Elton John's Zumic artist page.